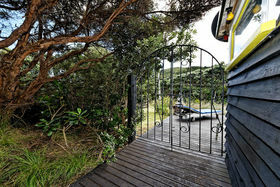 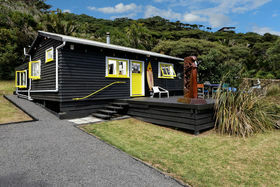 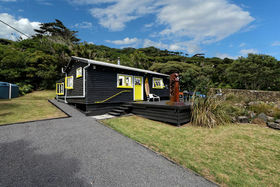 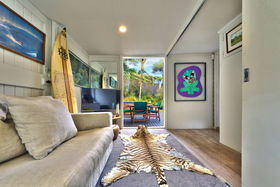 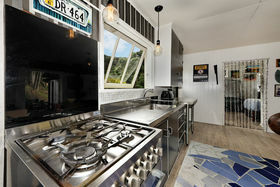 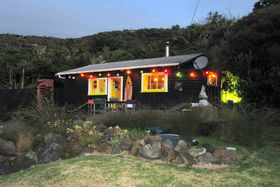 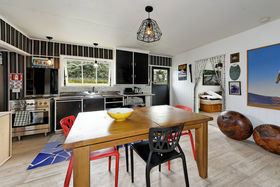 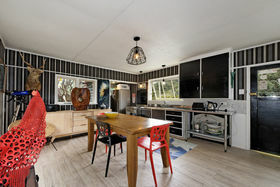 This slightly elevated 1950s "Black Bach" has a sweet number of attributes... the most important of which is the easy flat stroll to the hub of Piha and the surf. 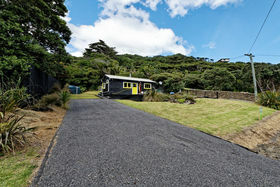 Excellent lawn area and generous off street parking. 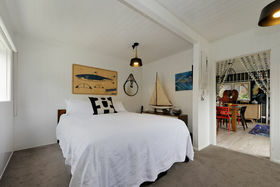 The bach offers the choice of perfect minimalistic living or a lock and leave weekender. 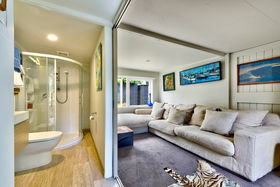 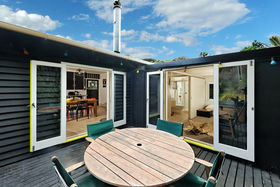 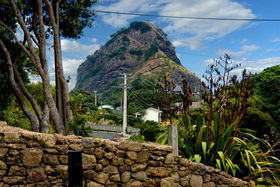 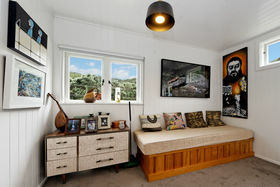 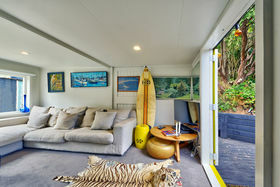 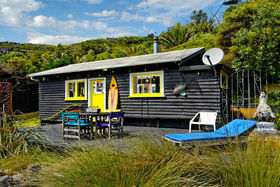 There are so few of these iconic bach opportunities left and this is a chance to grab a piece of affordable Piha. 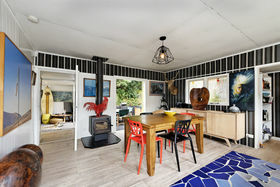 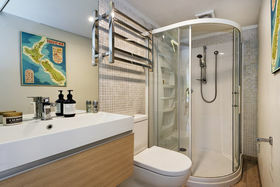 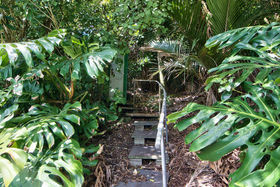 The 2014 addition of a bio cycle septic system, revamped bathroom and new woodburner completes the list.